Found 3 file extension associations related to Songtrix and 3 file formats developed specifically for use with Songtrix. The essential free software for learning and creating music. With guided video tours, and a simple visual interface, you will be making your own great music sooner than you ever imagined. Share your creations and meet new friends on the ChordWizard Network, as you discover and develop your musical talents. 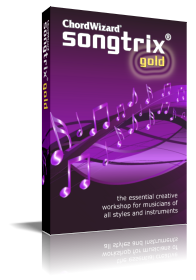 If you need more information please contact the developers of Songtrix (ChordWizard), or check out their product website.